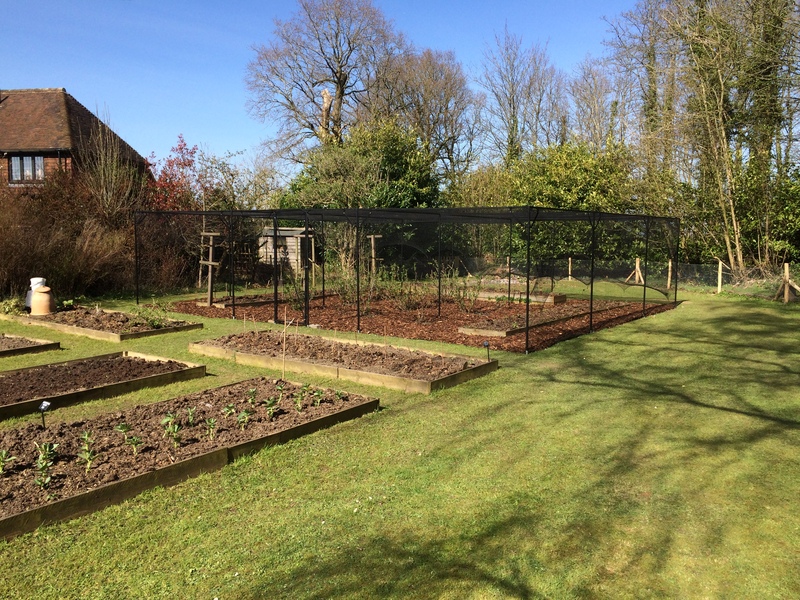 Fruit cages seem all the rage given that we are installing a few at the moment, they provide protection from birds and other fruit and veg munching animals, as well as a very smart structure that gives a little height and interest to the garden. The pictures are from a client we are working with near Mark Cross in East Sussex. This one is big, nine by eight metres and demands careful installation to ensure a good result. The owner was delighted with the job done and the care with which it was installed.